Flipboard launches a new self-service program for publishers: for the first time publishers around the world can easily join Flipboard, have their stories discovered by readers on the platform and build a new channel for traffic to their websites. Flipboard is also rolling out the Reader Enhanced Display (RED) Bolt performance mark to give fast, reader-friendly websites more visibility on the platform. Starting today, the RED Bolt will appear next to articles on Flipboard that have mobile-optimized pages. The first titles that will receive the RED Bolt include world-class publications such as The New York Times, The Washington Post, The Verge, Axios, The Economist, People, Esquire, Self, Conde Nast Traveler and Mashable. To receive the RED Bolt, mobile sites need to load in one second or less, be free from aggressive pop-up ads and not redirect readers to an alternate site. Generally, publishers that have implemented AMP technologies will meet the core requirements for the RED Bolt and AMP optimized sites will be fast-tracked in the process. In the coming months, the RED Bolt will roll out to thousands of publishers on Flipboard and by the end of the year it will be automatically awarded to all sources that meet the user experience standards. 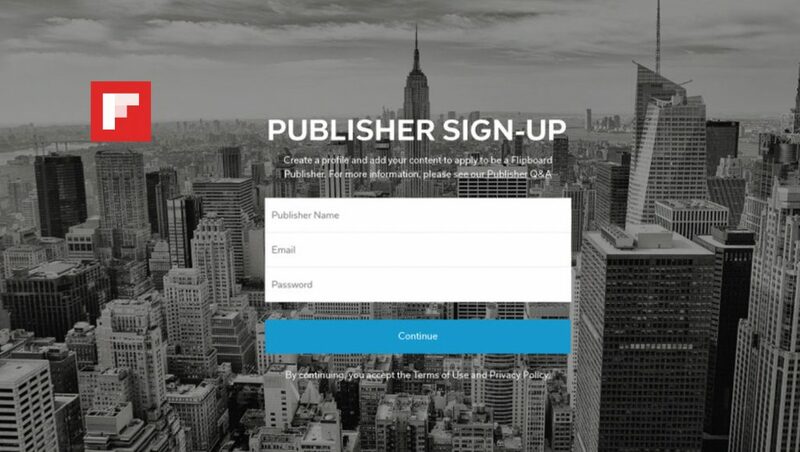 In addition to the RED Bolt recognition, Flipboard is simplifying how publishers join its growing platform with a new publisher sign-up tool that lets them automatically add, edit and organize their content on Flipboard. Starting today, publishers not yet on Flipboard can go to www.flipboard.com/publishers, select “Sign Up,” and follow the steps to submit an RSS feed for review. Once approved, a publisher’s content will be live on Flipboard and articles will be algorithmically indexed and surfaced in related topics and Smart Magazines across Flipboard. Existing publishers on Flipboard can log into their accounts on flipboard.com, go to their profiles to add or manage the RSS feeds that power each of their Flipboard Magazines. Publishers can now edit, add and update feeds associated with any of their Flipboard Magazines. This new functionality gives publishers a new interface to control their feeds on Flipboard and ensures fresh stories and important coverage are reaching their audiences on the platform as stories are published.